Finding childcare is stressful. At SIPP child care we offer a solution that gives you rest of mind. 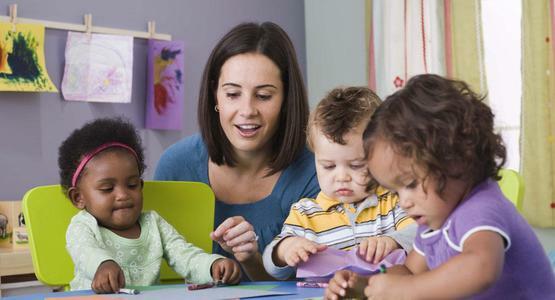 Our child care program allows you flexibility in a safe structured program. This is much more than just daycare. At SIPP Academy®, we offer developmentally appropriate programs and specialized curriculum for a range of ages, infants and beyond. Our School Readiness Pathway provides options to create the most fitting path for your child to elementary school and future academic success. Infant Care and Toddler Programs feature Learn from the Start™, our exclusive, milestone-based curriculum. Preschool and Pre-K Programs offer math and literacy learning plus opportunities for social development. Junior Kindergarten enhances your child’s abilities before kindergarten. Before and After Private Kindergarten offers a small class size with big opportunities, where your child gets the necessary tools to succeed in elementary school—and beyond. Before- and after-school programs for school-age children until they are 14 enjoys structured start and finish to every day, with healthy breakfasts and snacks, plus fun, educational activities. All SIPP Academy shares the same curriculum allowing parents flexibility to drop their children off at any location of their choice. We use a single registration system for all. Parents struggle to find convenient child care that is also high quality. We provide child care pickup and drop off for kids, at home, doctors appointments. Age restrictions apply. Pricing is an important factor in choosing a day care service. We offer a single fee that covers late pickups per month which reduce the frictions associated with the physical act of making your bill and payments convenient and easy to understand.